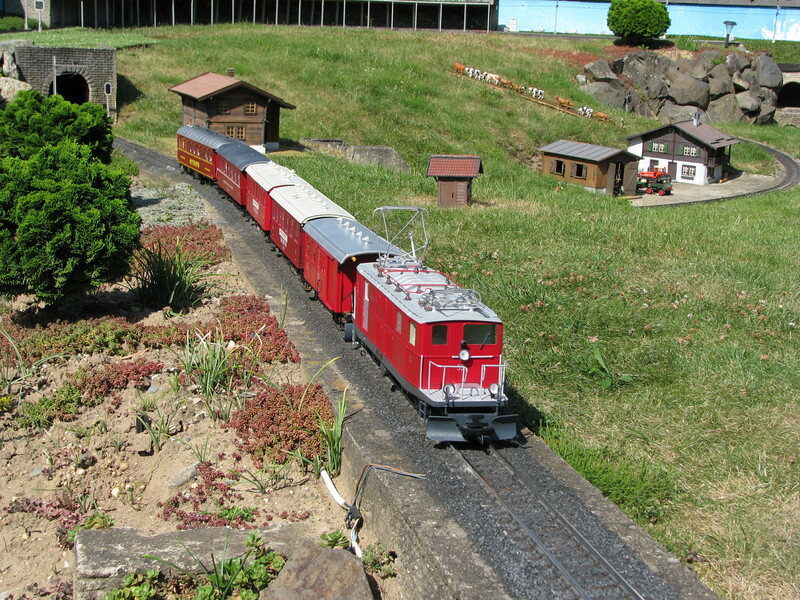 Since 2012 we from Ed’s Garten Bahn produce small series of models in scale 1:22.5. We are unique with this in several ways: we use modern techniques like 3D printing and our business model offers us the possibility to produces models again and again at the same price. Besides that we offer a large freedom in choosing numbers, colours and components. The only thing we ask you is to give us the time to produce the model. We don’t have stock, every model is built especially for you. So no limited series, you don’t have to rush in deciding before a model is sold out. Ed’s Garten Bahn is, although the name suggests otherwise, based in the Netherlands. Adequate technical knowledge is required to achieve high-quality models. Our many years of experience with modelbuilding has ensured that this knowledge is abundantly available. Use of only the best materials is also required. We do not make any concessions on this. Wheel rims are always made of stainless steel, axles always turn in ball bearings and the paints used are of industrial quality. The combination with our love for model making means that our models are of excellent quality with a high level of detail. And of course be provided with as many fun and distinctive gadgets as possible! A short video with some of our products can be seen here. 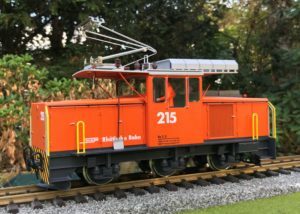 The pice for the RhB Ge 3/3 214-215 has changed. Starting today this model is only available with an ESU LokSound XL V5-decoder for a price of € 1.799,-. 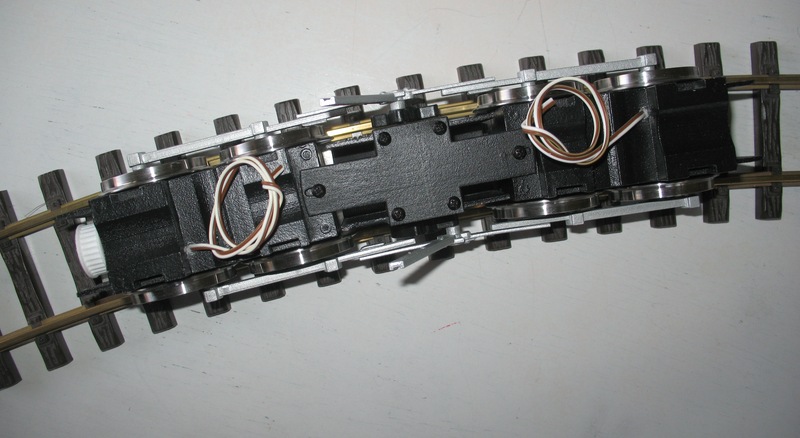 This year we are introducing a model of the FO BCm 2/2 21-22, later RhB CFm 2/2 150. These Benzintriebwagens started their life in 1927 with the FO, having a 2nd and 3rd class. They were powered by an 8 cilinder boxerengine that propelled the 2 axles via a gearbox. One axle had a cog wheel. 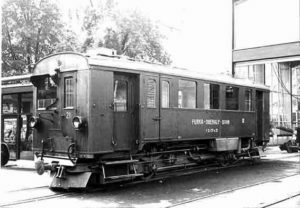 Number 21 was used after 1947 as a service vehicle. It was transferred to the Luzern Verkehrshaus in 1965. Since 2008 it is part of the collection of the DFB, where a restauration is done in depot Aarau. Number 22 was sold to the RhB in 1947. 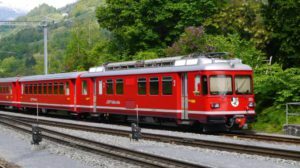 It was changed into a 3rd class with luggage department (Cf) and it drove around in Prättigau as RhB Cf 2/2 150. Later it became Bf 2/2 150. In 1959 it was taken out of service. The Carriage was used as a Pathfinders housing until 1976. The model will be built using a mix of 3D printed parts, lasered parts and a steel frame. Ofcourse a Bühlermotor will be used. Also a cog wheel will be provided. Pricing is not yet known. Starting today, all models ordered with sound will be delivered with an ESU LokSound V5. This new generation of decoders is a step in the future. The sound quality has been improved, there are more outputs for functions, more options for servos (up to 6) and many more for functions. 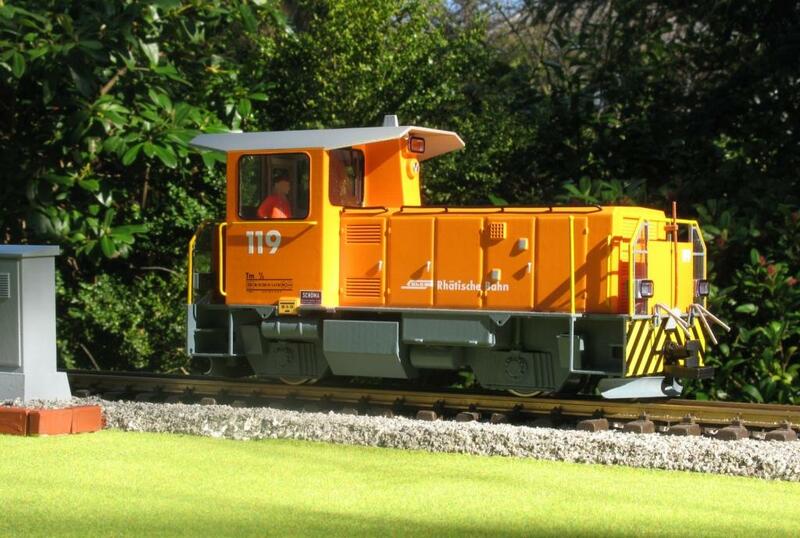 We our proud to present the first pictures of our latest model: the RhB Ge 3/3 shunting locomotive. 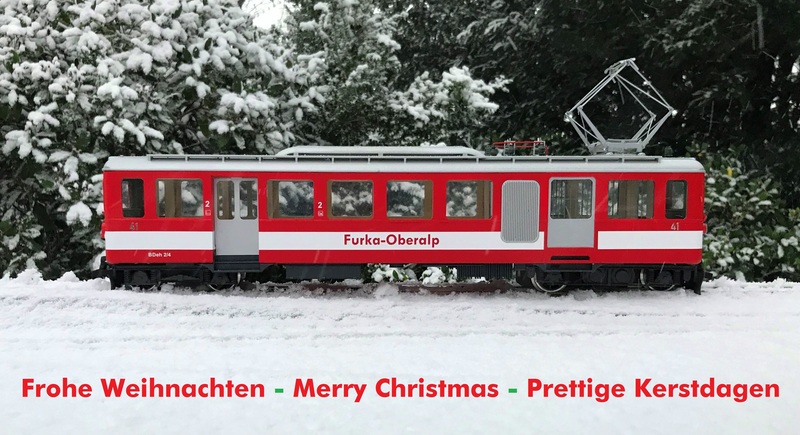 As usual, this model comes with stainless steel wheel rims, axles with ball bearings, a strong Bühler motor, turing driver, servo controlled pantograph, servo controlled door, LED lighting with various possibilities, prepared for Massoth decouplers (including the shunting program). 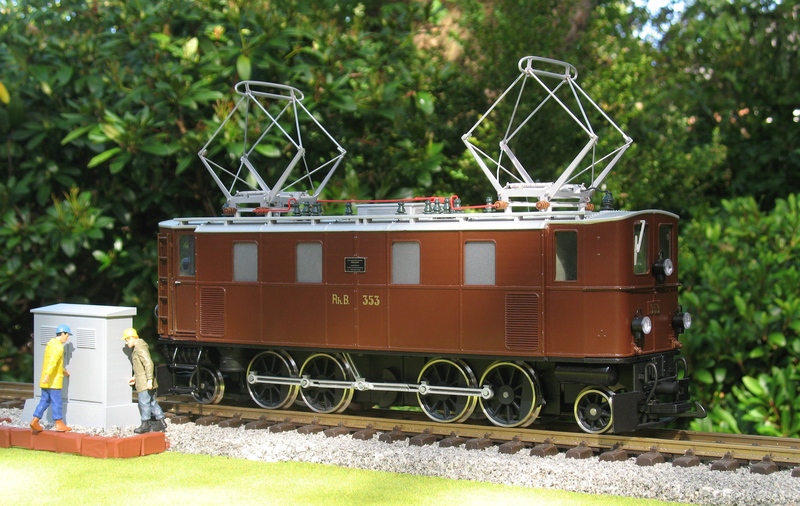 When you order this loco in December, you get the Sounddecoder as a present from us! 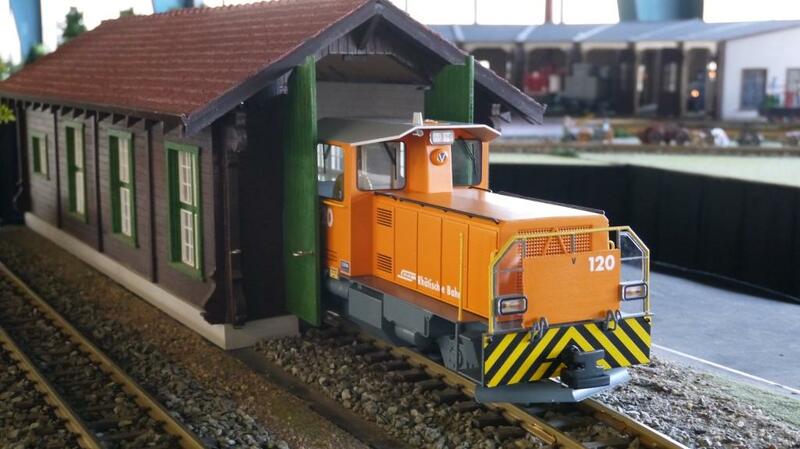 Starting 6-11-2018 you can order all our models in the shop or webshop of World of Trains in Dürnten (ZH). 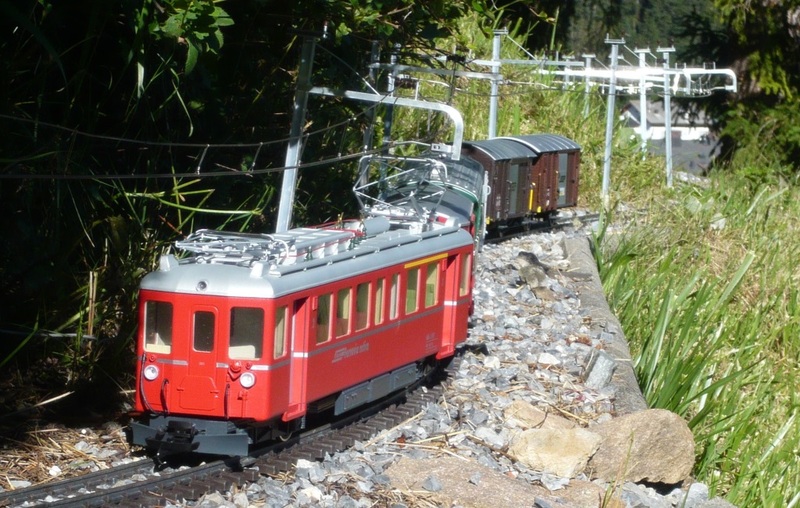 World of Trains (www.world-of-trains.ch) is synonymous with the world of model trains. 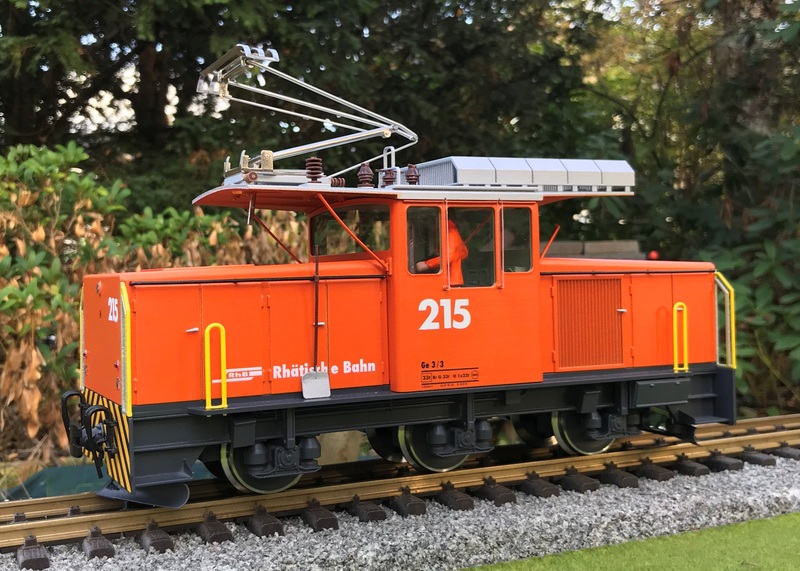 They are one of the leading retailers in the area of model trains with several scales and brands and with over 30.000 items they offer everything a model train lover wishes for. We from Ed’s Garten Bahn are very enthusiastic about this cooperation. With this we offer our Swiss customers a local point of contact for advice about our models and viewing of the models. World of Trains will take care of the complete process: from ordering (in all variations as you are used to) up till the delivery of your order, they will do this for you. It is still possible to order directly from us as you have been used to so far! Last year pricing for many purchase parts raised. As an example we would like to mention wheel rims (up 12%) and Bühler motors (up 11%). Also 3D Printing became more expensive. Because of these raises we have to raise some of our prices as well. The maximum raise on selected models is 5% (€ 50,-). The average raise of the total pricelist is 0,95 %. Models that were annouced this year did not increase in price (RhB Ge 3/3 214-215, RhB Ge 4/4 181, RhB Ge 4/4 182, MOB ABDe 8/8). The new prices are valid starting 1-1-2019, so we’re offering you the possibility to order at the current prices. The new pricelist can be downloaded here. 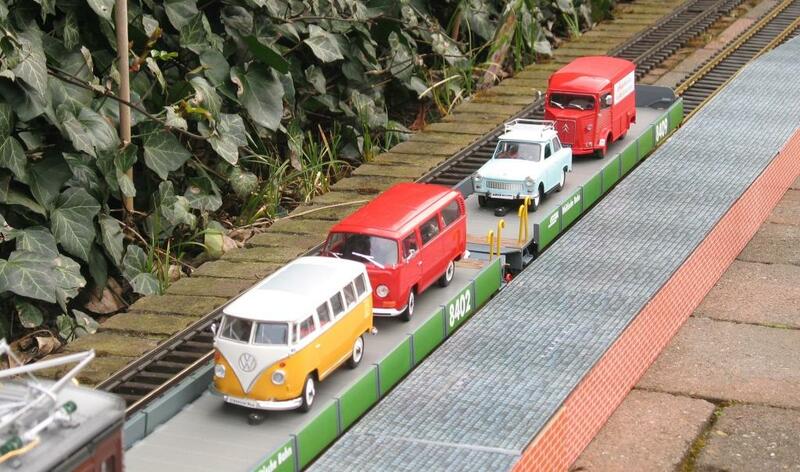 Our models are always built in true-to-scale (1:22,5). 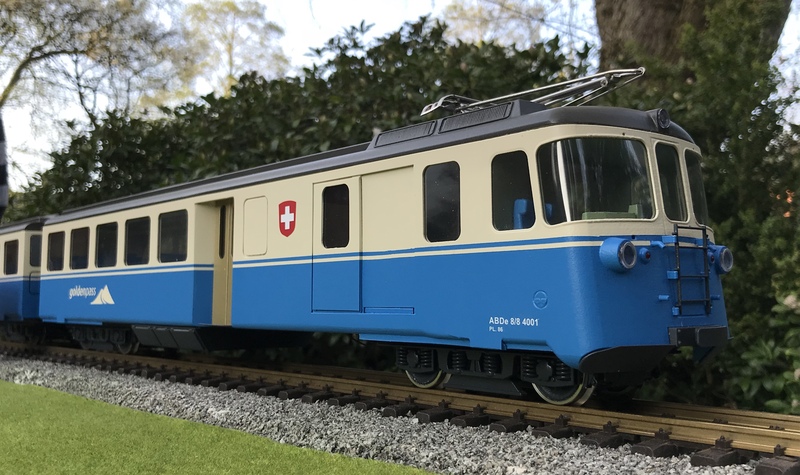 This means that our carriages are 80 cm long in stead of 68 cm, which is the standard for other suppliers of Swiss models. 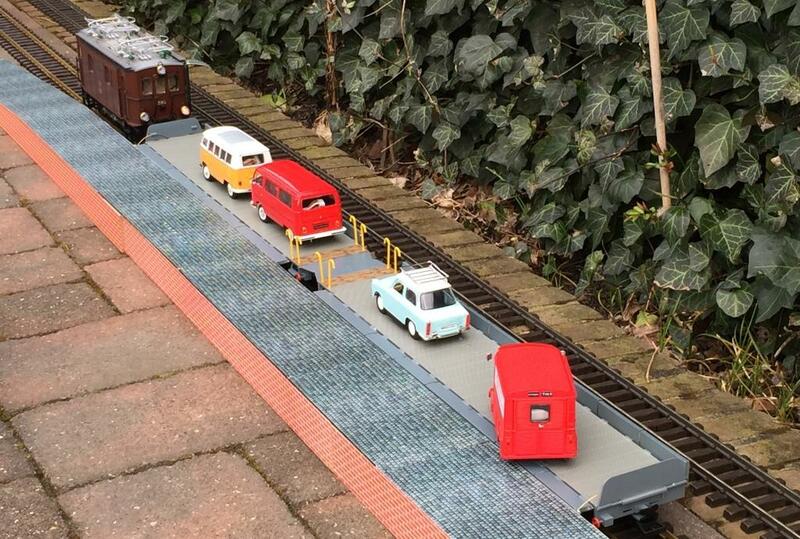 Because many customers build their garden layout based on these shorter models, there can be problems with our true-to-scale models. In the (often too tight) kurves is the overhead caternary or a tunnelentrance in the way. 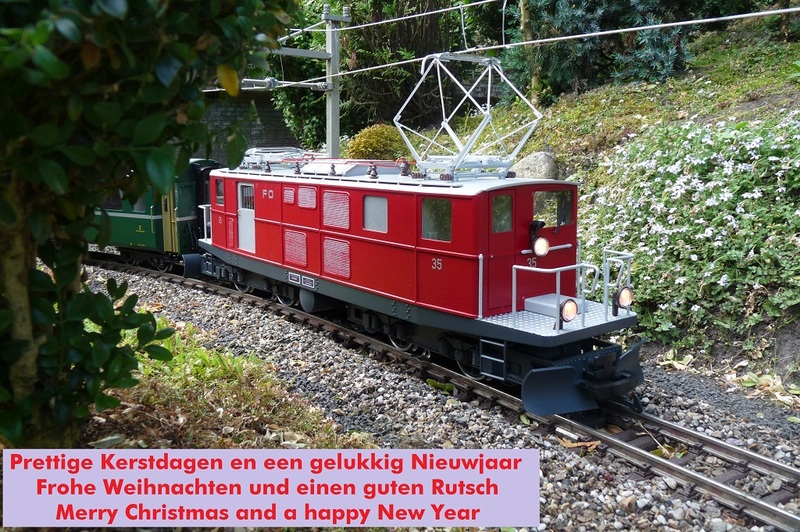 To accomodate these customers we offer some of our trains in a shorter scale (RhB Be 4/4 Vorortpendel, RhB ABe 4/4 Fliegende Rhätier, FO BDeh 2/4 Triebwagen). 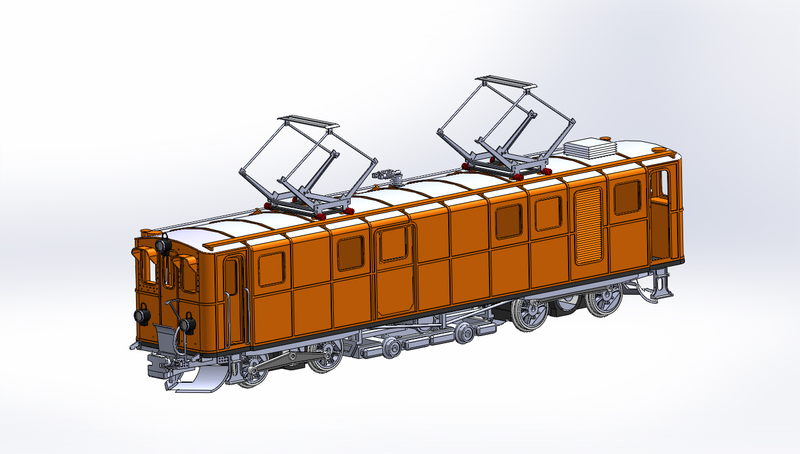 Starting today the model of the MOB ABDe 8/8 can also be ordered in this shorter scale. 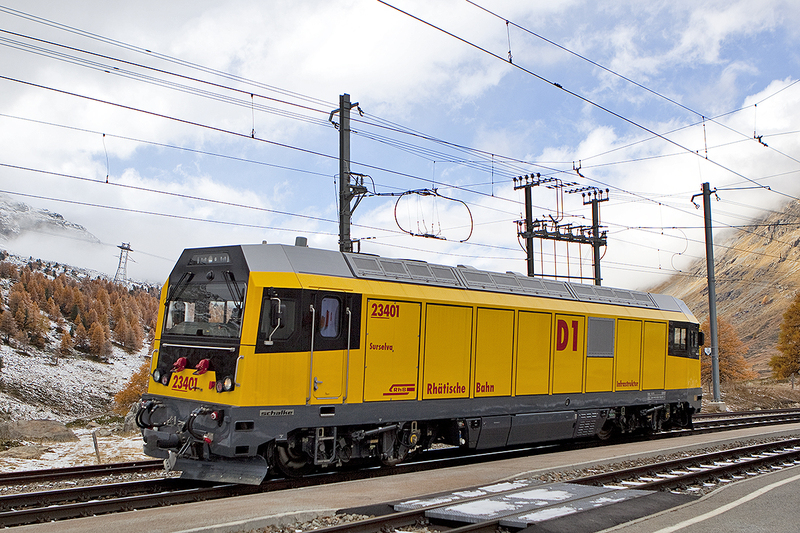 A complete train has a lenght of 1356 mm (original 1464 mm). There are no differences between materials and looks of these models. For more information please contact us via info(at)edgb.nl or the contactform. Our Autumrelease is this model. 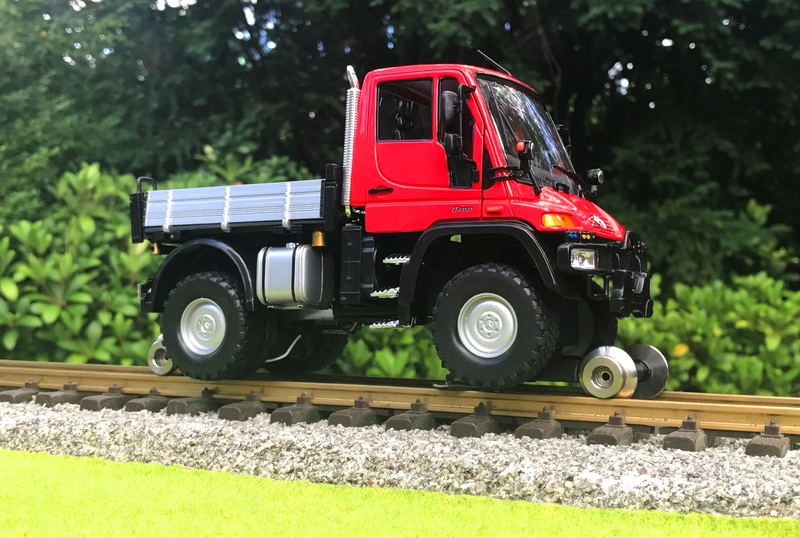 3 Axles powered (middle axle with spring), Bühlermotor, Driver turning, door with servocontrol, Swiss lighting or white-red and many more features you should expect on a high-end model like this (but are all standard with us). 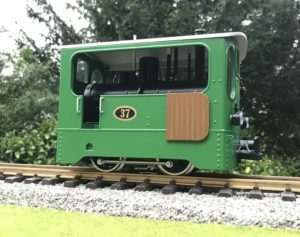 You can pre-order this loco now. More information cn be found here. 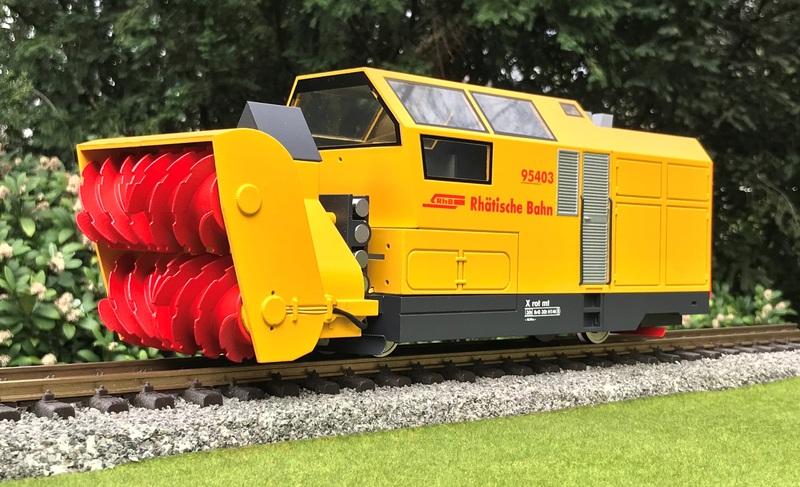 During the Gartenbahntreffen in Wollerau the model of the MOB ABDe 8/8 4001 was showed to the public. 100% true to scale and equipped with 4 Bühlermotors and 2 digital decoders. With rotary ploughs powered by a battery and an adjustable rotationspeed. Buildi ngtime is about 6 months. When you order a RhB Tm 2/2 you can purchase the Sound upgrade for € 60,- in stead of € 160,-. When you purchase the Massoth decouplers you pay € 80,- in stead of € 130,-. When you order a RhB ABe 4/4 III the Sound upgrade is free in stead of € 160,-. And don’t forget: when you order, we produce! 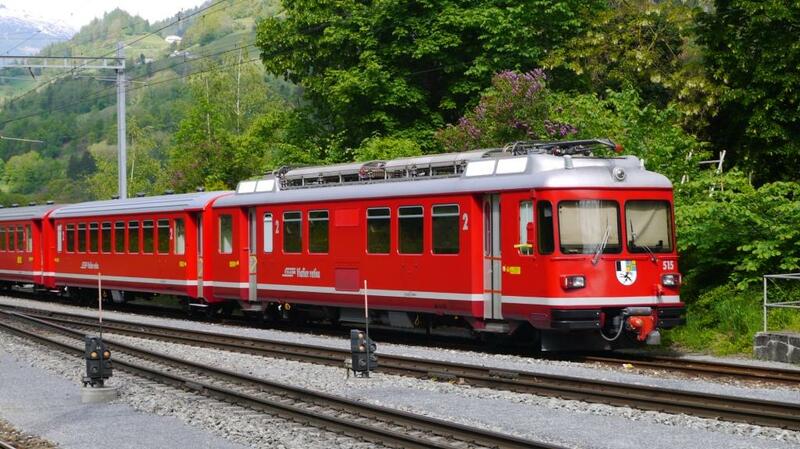 Shortly we will start with the first prodcutionrun of the RhB Gmf 4/4 234 01 t/m 04. This run is almost sold out. If you are interested in one of the last models, please contact us. The price for this model (with all standard features we normally have and inclusing an ESU Sounddecoder) is € 2.295,-. More information can be found here. 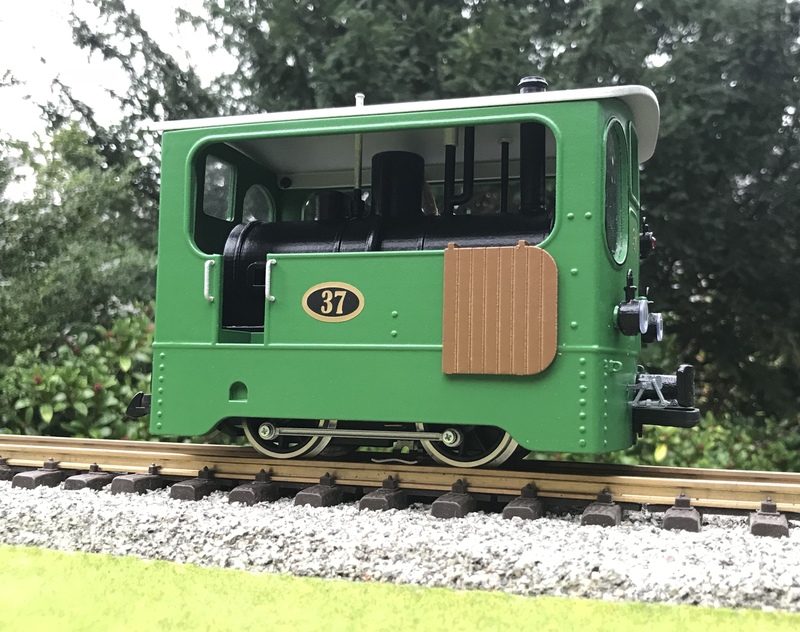 First announcement for a new model in 2018! 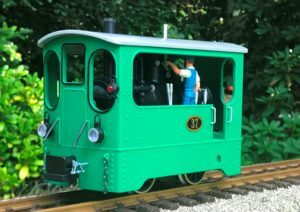 The first new model for 2018 that we would like to introduce to you is the model of the RhB Ge 4/4 181. This locomotive originally started its life at the Bernina Bahn as a locomotive with 6 axles (6/6), but due to several problems with the driving rods it was chaged into a 4/4 in 1929. 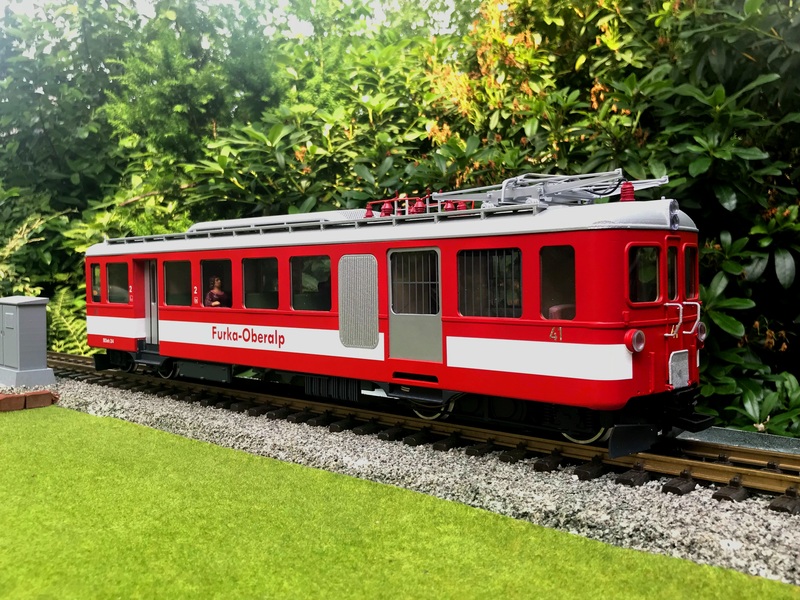 In 1970 the loco was put aside and transferred to the Train Museum of Blonay-Chamby, were it was regularly used until 1990. It then became part of the static fleet. This year BC is organizing a big Bernina Festival and the loco will be driving again. The model is 610 mm long and has several functions. These can be found here. 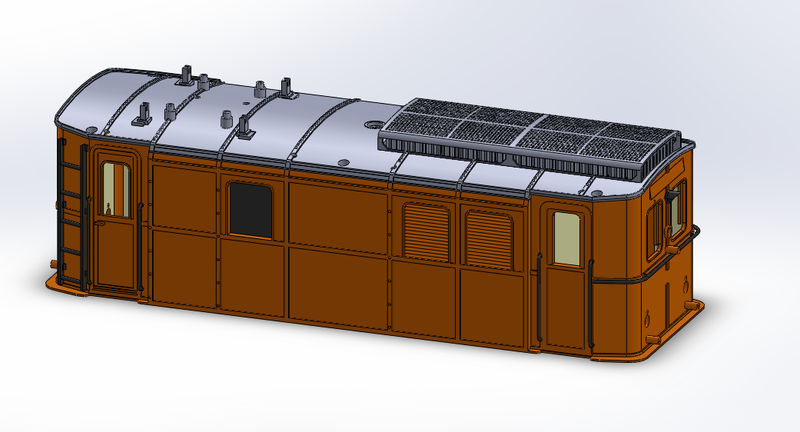 Here are the first pictures of the Backer & Rueb loco. You can see more with this link. Don’t forget to click on the picture for a full screen view. On 12-12-2012 Ed’s Garten Bahn was enlisted in the Chamber of Commerce. So we are celebrating 5 years! During these 5 years we’ve accomplished a lot: many models, AutoMobilia. And we were part in fulfilling the dream of many customers. 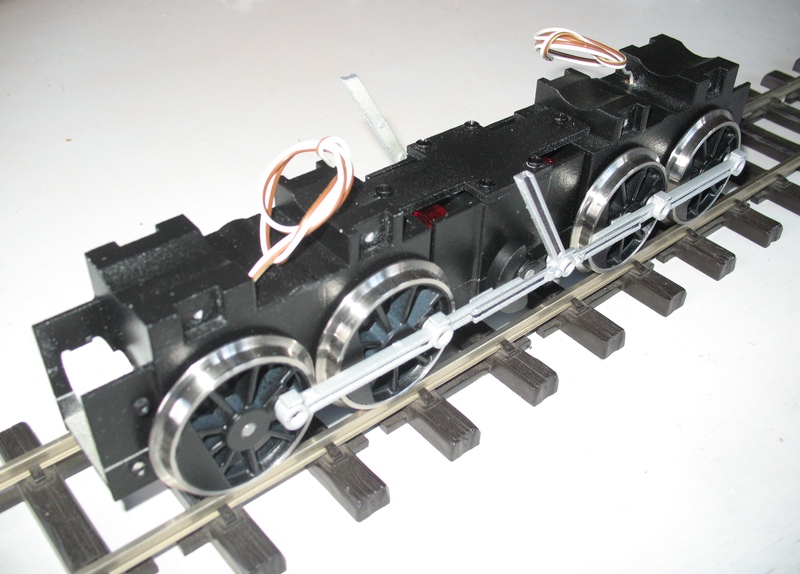 Either with one of our models, but also with specific parts, custom built bogies etc. All the talks we had shared the passion for our fantastic hobby: large scale railroading. The unique possibilities of 3D printing made it possible to build small series. We saw the advantages already 5 years ago. And we will continue this for the following years. 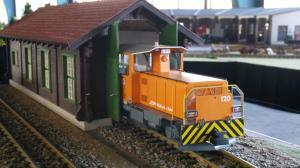 Gartenbahn Profi performed a test on the Model of the RhB Tm 2/2. This test can be downloaded here (.PDF, 3MB). In this test some recommendations are made. These will be implemented in the design in the following days. A bigger bottom plate will be installed and the lights will be changed at the backside. Smaller SMD leds will be used so that the backside can be closed. The windows will show black frames. A sidewindow that can be opened however will not be made possible while the construction will be too weak. More information about this model can be found here. 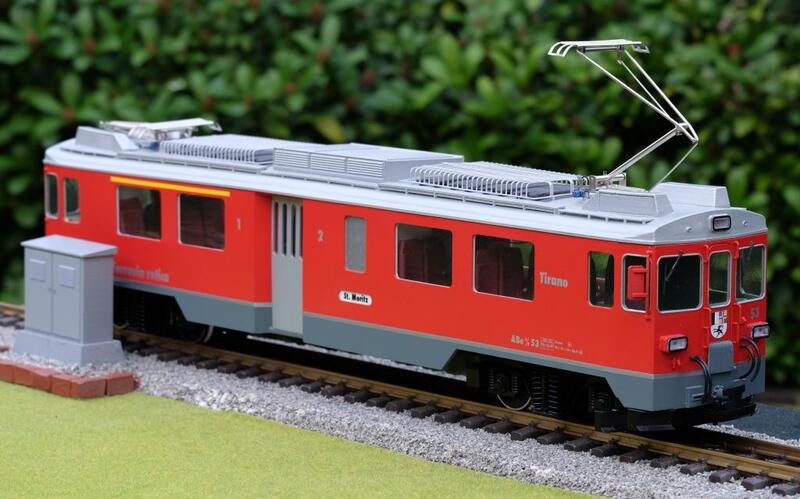 The latetst issue of Gartenbahn Profi showed some pictures. 14-6-2016: RhB Be 4/4 515 or 516 in shorter version! 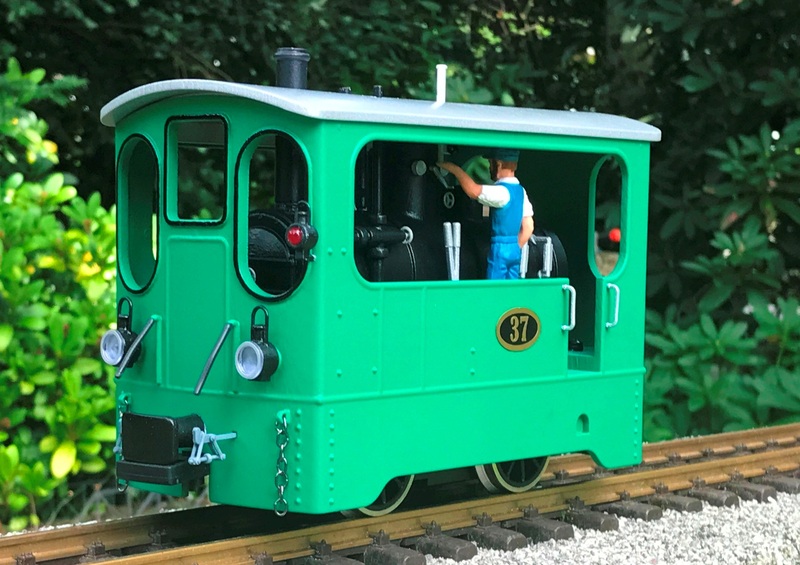 After requests from RhB Lovers with a mid-size layout the model of the Churer Vorortpendel (Be 4/4) can now be ordered in an adjusted length. 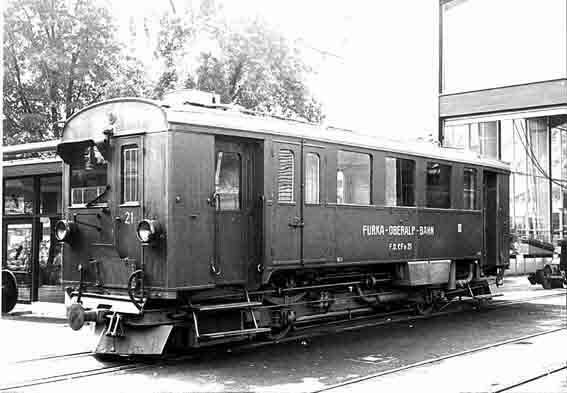 A 3 carriage train measures 204 cm (68 cm per Carriage), a 4 carriage train 272 cm. Only available with number 515 or 516. 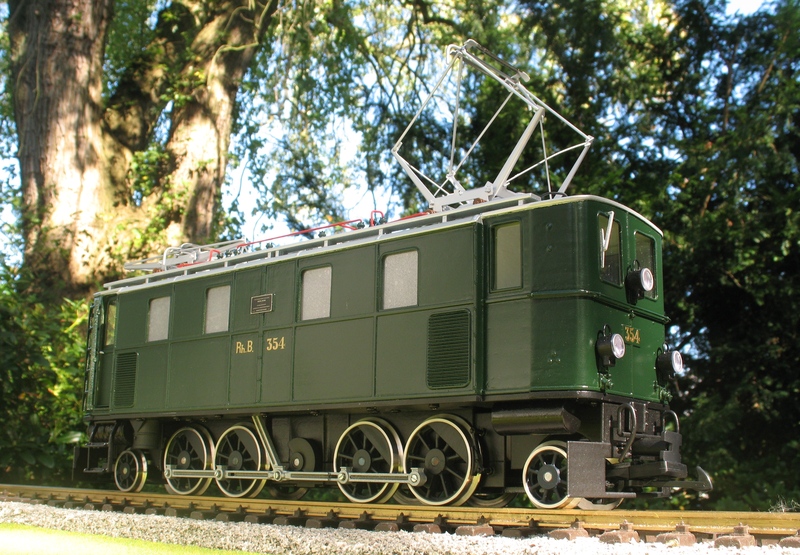 The model is equipped with 2 motorbogies with Bühlermotors and axes in ball-bearings, ESU decoder, LED lighting, LED interiour lighting. Sound in combination with moving pantos is standard. Pricing: € 3.195,- for a 3 carriage train, € 3.995,- for a 4 carriage train. New! Autoverlad, RhB example (carriagetype SKL, also available in FO livery). Drive your AutoMobilia cars om the train. Each carriage has its own digital decoder to control the stopping of the cars and the moving sidings. 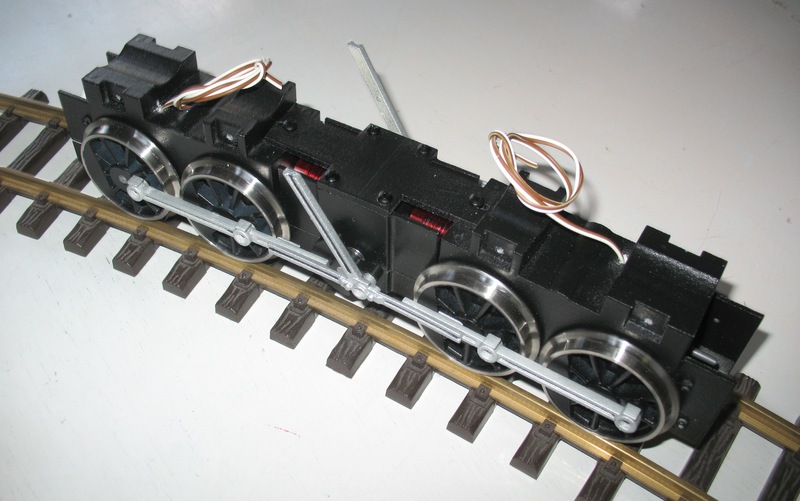 Several people asked about the drive train of the RhB Ge 4/6. Here are some pictures. A Click gives an enlargement. Starting 2-1-2016 new prices will be used. Most prices are the same as last year, although some models had a very small raise (1,6%). A few models are taken of the price list. If you still have interest in these models, please don’t hesitate to contact us via the contactform. 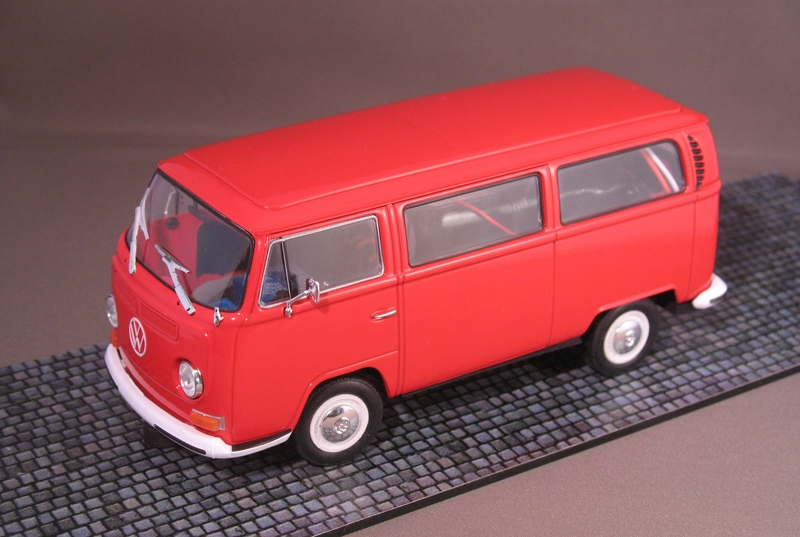 The first model from production: Volkswagen T2 which will go into a starterset! 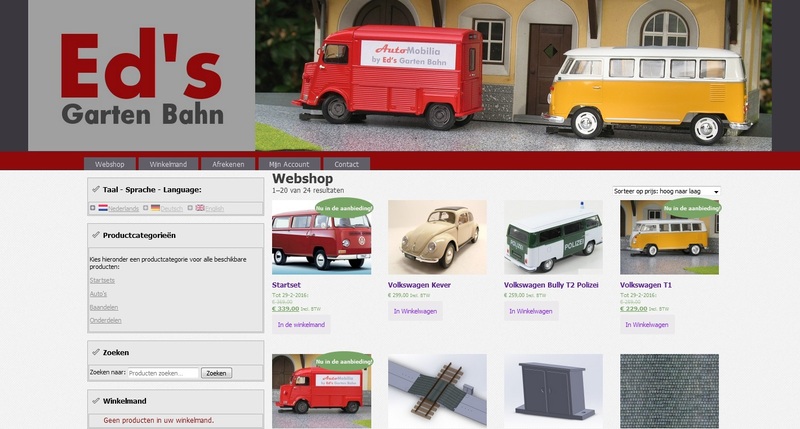 The webshop for Automobilia is live! Finally: the kit to transfer a LGB Ge 2/4 into a number 221 or 222 is available. 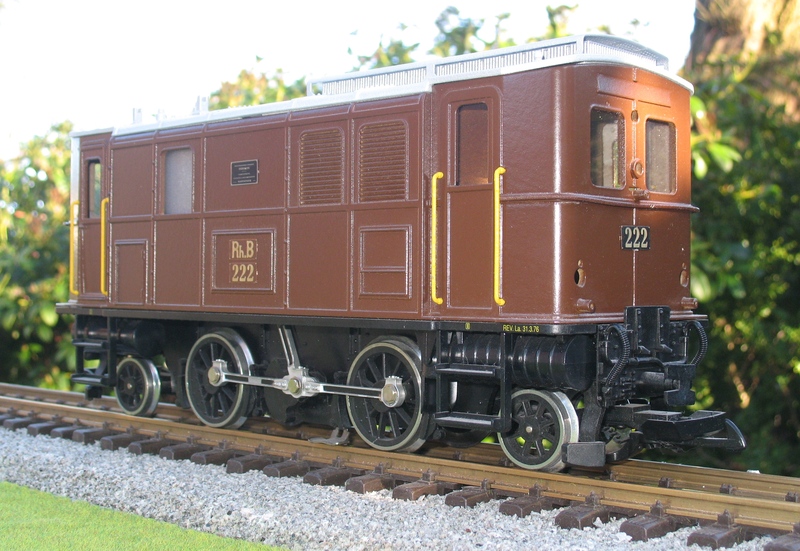 Click on the pricture to see the color of this model of the RhB Ge 4/6 354!